We created the Deco Sofa to combine the best in comfort, style, and durability. 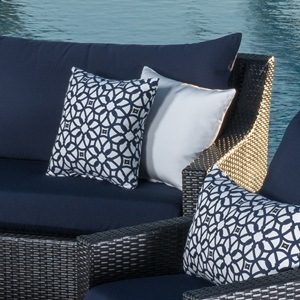 Hand-woven, Espresso resin wicker and deep-seating cushions don't just make the Deco Sofa a comfortable piece of outdoor furniture—it turns your patio into an experience. 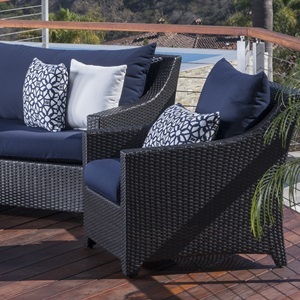 Built with outdoor materials engineered to withstand the elements, we invite you to relax on a sofa that will stay with you for years. 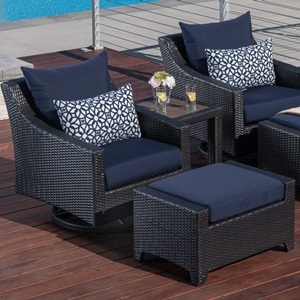 Set includes a two-piece oversized sofa with four coordinated accent pillows.